Berkshire Hathaway(NYSE: BRK-A)(NYSE: BRK-B) isn't quick to sell its stocks. In fact, CEO Warren Buffett's favorite holding period, he likes to remind shareholders, is "forever." 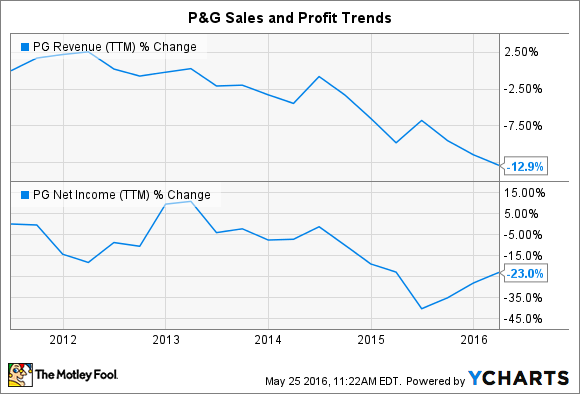 Yet the company just closed its Procter & Gamble(NYSE: PG) position -- over $4 billion worth -- according to its latest 13-F filing. That holding had been large enough to qualify as one of Berkshire's "big four" investments, and has been on its books for over a decade. Why Warren Buffett just sold his entire stake in Procter &amp; Gamble Co.